Re: Which are your favourite Mountains of Arda? If Google maps were a thing in Middle Earth, would you be able to see TANIQUETIL ?! The Misty Mountains. 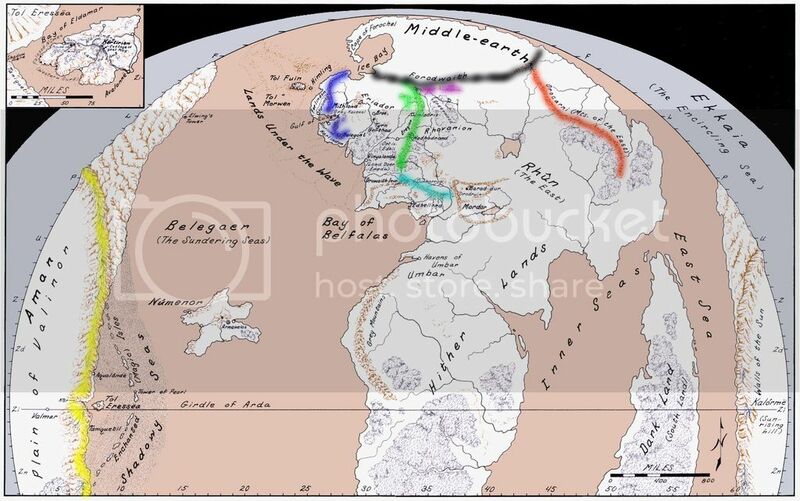 While they become infested by dark things later in the story of Middle-Earth, Gundabad, the northmost end of the mountains, was where Durin, Forefather of the Longbeards awoke. The greatest of all the realms of the dwarves were made there, in places deep and old, and it is the only place in the world save Numenor where Mithril might be found. In addition, Rivendell, my favorite Elven Realm, would be established at the roots of the western side of the mountain. I noticed that the picture in the initial post was broken.